I've always believed that where we are most broken, we are also most accepting - of faith, of love, of healing. This week has been tough; tough enough to make me want to give up on things entirely. But for every part of me that wishes to walk away is also a bigger part that wants to finish what I have begun. I've been told to look at what I really want, and find strength in that. I have four months to figure the big questions out. But right now, what I really want is to just read, and write, and find comfort in books that embrace me and welcome me home. Dealing with this (career-related) heartbreak the only way I know how: Going back to my roots and realizing what it means to find courage in the characters whose shoes we can wear, one page at the time. Because there really is no better cure better than a book. Or rather, books. When my boyfriend and I went out on a date after my last exam and he told me he wanted to buy a book for me, of course my eyes twinkled in anticipation - not only because this is will be my "reward" after having survived finals, but also because it's going to be a book, and books are always lovely and wonderful and perfect. But when I do shop for books, I don't usually have a title in mind, despite the presence of a wishlist somewhere in my Gmail drafts. 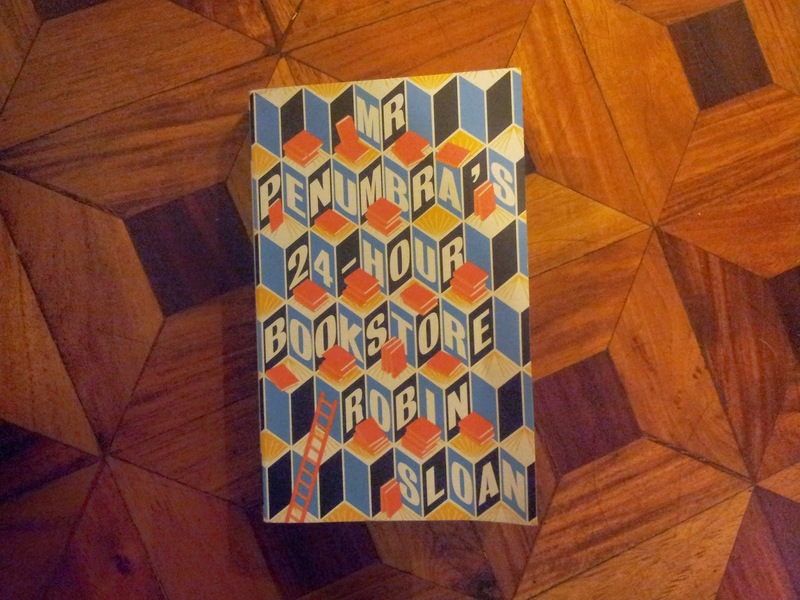 I'm the old-fashioned book-buyer, I guess - I wait for the book to call out to me. (Or rather, I'm guilty of judging some books by the cover.) This was the one that drew me in that day. Finished it in just a few days, thanks no less to the sudden presence of free time in my life. The story, I kept telling Ludwin, was kind of fitting for me, because it dealt with the question of books and technology existing in our culture. For someone who still loves the smell of actual books yet devours online media on a daily basis, are the two mutually exclusive? It's quite a modern adventure, involving a centuries-old secret society that valued the written word and the important, almost-inescapable omniscience of Google. This is actually the kind of thrilling mystery our generation of slightly-indifferent-but-easily-excited kids need and want. The handling of the mystery was not at all bad, considering that any book containing some secret 500-year-old brotherhood is bound to teeter on some cheesy Dan Brown territory. But thankfully, it did not. The characters could've been more fleshed out but then again, the bigger protagonist of the story isn't the people, but the book itself: how it lives, how it persists, and how it still matters, despite modern technology telling us otherwise. I grabbed this book over the Christmas break but didn't get around to finishing it because  I was busy writing digests for Civil Procedure and  I ended up finishing the other book I bought along with this one, the guilty-pleasure read "Crazy Rich Asians" by Kevin Kwan (which I should stop apologizing for, really). 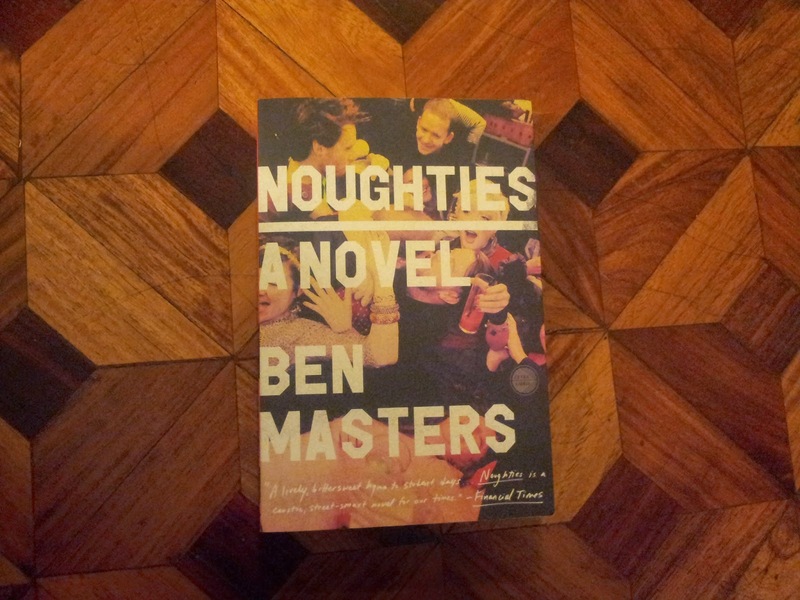 This has all the elements of a soon-to-be-favorite: It's got a witty, idealistic English major at the middle of the story. "Noughties" sets out to encapsulate the sometimes-exciting, often-exhausting life of every impressionable young adult in college. Having gone to college during the latter part of that decade, I've been curious as to how much (or how little) I can identify with its characters, but so far, I'm enjoying every bit of beer banter and colloquial cynicism this book has to offer. Written in a way that resonates with the style I really identify with, this book is exactly the kind of prose I wanted to come up with for my fiction classes. Hopefully the style sustains the tension. And hopefully, it pushes me to write something again, given how close it's hitting home. This has been on my shelf for almost three years now, but only saw it again the other day after fixing my shelves. 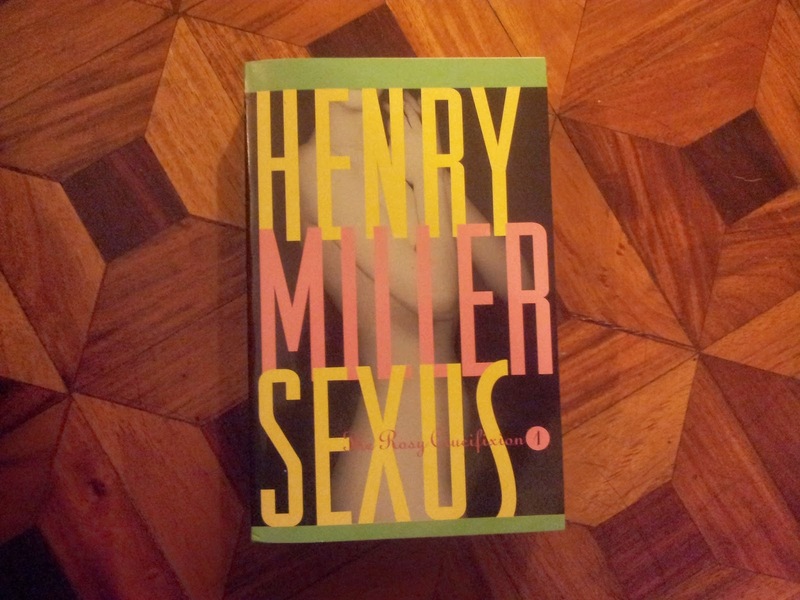 I do have a tendency of buying books and leaving it out to read for later - and now that I needed to take my mind off (a lot) of things, it seems like the perfect time to immerse myself in some Henry Miller. I'm no stranger to his prose, but I just can't consider myself a Miller fan until I sink my teeth into this one. It's about time I completed The Rosy Crucifixion. Consider that a priority on my 4-Month-Summer To-Do List. I've been slowly making my foray into comics and graphic novels in the past year, and with my limited knowledge of the Marvel Universe thus far, as well as the recent movies produced by the Disney/Marvel powerhouse, I was led here. So far, I've read mostly Season One comics, and while I'm unsure if that's the best place to start for most characters, it's good enough for me to get through adequate back story and sufficient fleshing out of characters. 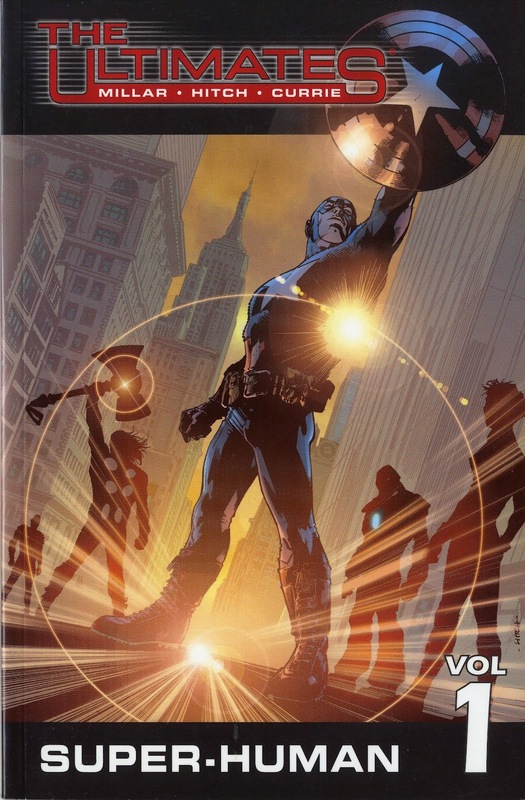 Since watching Captain America: The Winter Soldier with Ludwin, I've gone on a comic-hoarding frenzy, downloading every bit of Avengers, Iron Man and Captain America essential series I can find (with the exception of "Iron Man: Extremis" which I've already read a few months back). The search, aka Google, led me to this, which is said to be a more current retelling of the super group's dynamic - best for fans who are familiar to the characters mostly because of the recent movie franchises. From the looks of it, it won't be taking me long to immerse myself into this world and finish this thing - which is great, since I have 3-GB worth of (mostly Marvel) comics in my hard drive just waiting to be enjoyed. As you may have noticed, they are vastly different from each other, and that's not without purpose. They say the best way to forget one's troubles is to drench yourself into other people's troubles - and what better way to do that than to start reading different books? There is nothing like comfort from family and friends, but there is relief to be found between words and chapters as well - relief that there is life within the pages, that there is life outside yours. A man walking fast down a dark lonely street. Quick steps and hard breathing, all wonder and need. A bell above a door and the tinkle it makes. A clerk and a ladder and warm golden light, and then: the right book exactly, at exactly the right time."